Lets start out with the Rose Hip Moisturizing lotion! I was so intrigued to try out this product because with in all the skincare I've tried in my life, I have never ever tried a cleansing lotion! Similarly to a cleansing oil, this cleansing lotion removes dirt, oil, makeup, and sweat build up from the day. It is super gentle on the skin and because it is a lotion I highly recommend this to all my fellow dry skinned girls! It keeps the skin hydrated, while still cleansing your skin of dirt and bacteria. The rose scent is slightly stronger in this product than the other two, but its nothing that bothers me personally at all. Gently remove dirt and make up without irritating or drying the skin, effectively moisturize the skin and restore its natural radiance. Rose Hip oil is extracted from the hip of the rose. This is the fruit left once the rose has bloomed and lost its petals. Natural source of essential fatty acids omega 3, 6 and 9 – which help repair and regenerate damaged skin tissue, also rich in Vitamin C & E.
The second I got my hands on this product it was love at first sight! I knew from the get go I would love this moisturizer, and boy was I right. Its a thick, hydrating, moisturizing cream that absorbs super quickly to the skin. 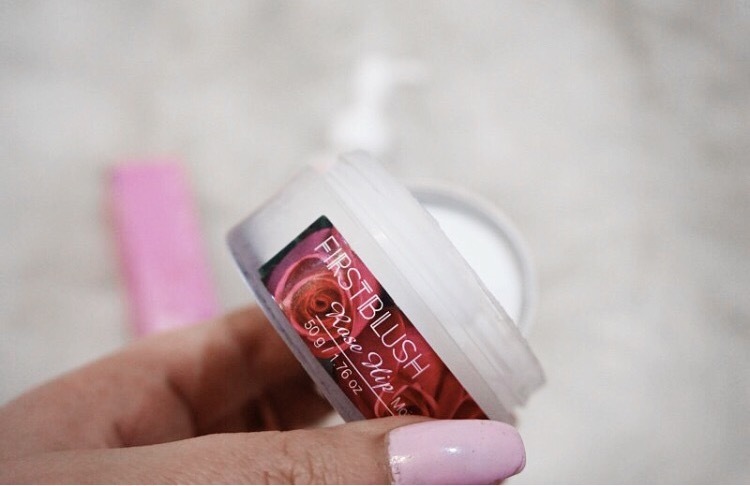 This cream has rose hip oil infused into it which feels absolutely amazing on my dry skin. I have been using this cream everyday before my makeup in the morning and Its works wonders. It definitely helps make a great base for makeup, which is rare because a lot of moisturizers can break up your makeup or make you look to oily. Promote skin absorption and prevent signs of aging, leaving the skin moisturized, hydrated and firm. If you saw that little snapchat un-boxing that I did, you probably remember this product. I was so so excited to try this out! I have never tried anything with "whitening'' ingredients in it. I have been on a mission for the last few months to try and lighten my under eyes and help reverse any discoloration on my face! I wish I could say that this cream has reversed my pigmentation but honestly, I haven't tried it out for long enough to know. I find that to see results from any cream like this one, you have to consistently use it for quite a while to get those crazy results. I will definitely continue to use this treatment and update you guys in a few months on how its worked out for me! So stay tuned for that. But as for now, I find this under eye cream extremely moisturizing and leaves my under eyes super supple. I also have been using this under neath my makeup which is my little secret to the perfect concealer application! By applying an eye cream before your makeup, it helps eliminate creasing and that dry flaky under eye look that you can get if you bake your makeup. You guys got to try it out and let me know if you see a difference! This luxurious eye treatment assists in reversing the multiple signs of skin aging around the delicate eye area, including fine lines, wrinkles, crows feet, puffiness, and dark circles due to hyper pigmentation. Cherry, precious natural vegetable whitening ingredients to penetrate into your basal layer of skin, leave you supple, whitening and hydrating for inside to outside. Help to improve wrinkles safely and effectively. Meanwhile, cherry can adjust endocrine disorders to protect skin, rich in vitamin A, B and E, leave your skin youthful.